Burnt The Spaghetti: Tackling my first socks. One of the few disadvantages of travelling around New Zealand is that my projects have to be easy to carry (no jumpers!). Of course there are so many advantages to travelling, this pales in significance. I'm so busy seeing the world, meeting new people, trying interesting food, having crazy experiences it is perhaps hard to find time for knitting (ha!). It also means I can challenge myself with knitting projects I probably wouldn't have bothered with otherwise. So, socks seemed like the perfect small project, complex enough to keep me interested but compact enough to shove in my rucksack. I always said I would never bother with socks, the amount it cost me for the yarn I could have bought myself ten pairs of ready-made socks! 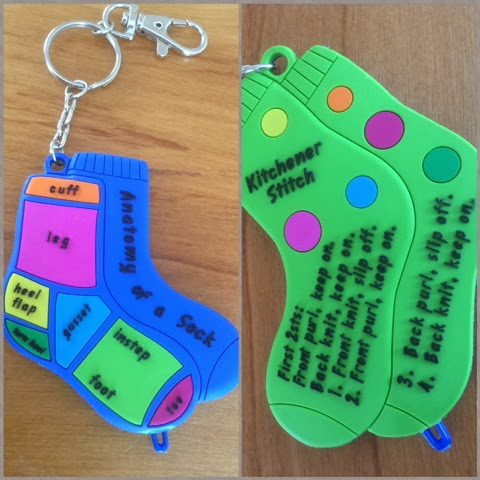 But, it's something every knitter should do at least once, and I always like to set myself knitting aims, something to try next to keep me focused. I found the pattern for Hermione Everyday Socks, and I fell for them completely. Admittedly, probably just because they have a link to Harry Potter, but still. They're great, the main pattern is simple enough to memorise and the texture is lovely. My only qualm- they're knitted on tinky 2.25mm needles! They've taken me forever. I think the trick to knitting something fiddly and perhaps frustrating, is to set a target for their completion. I wanted mine done by the end of November so I could get them in the post for my sister's birthday. Not unreasonable considering I cast on in October. But I was well aware of the dreaded Second Sock Syndrome. But I also let her know I was making her something for her birthday, no excuse to let a lone sock hibernate in your project basket if it's supposed to be a present! So I cast on, the cuff and the leg were just fine. Slow going due to tinky needles, but not a problem. Then a heel flap. That went ok. But then I had to do a heel turn! Jeez, it even sounds complicated. I looked at the instructions and they made no sense to me. 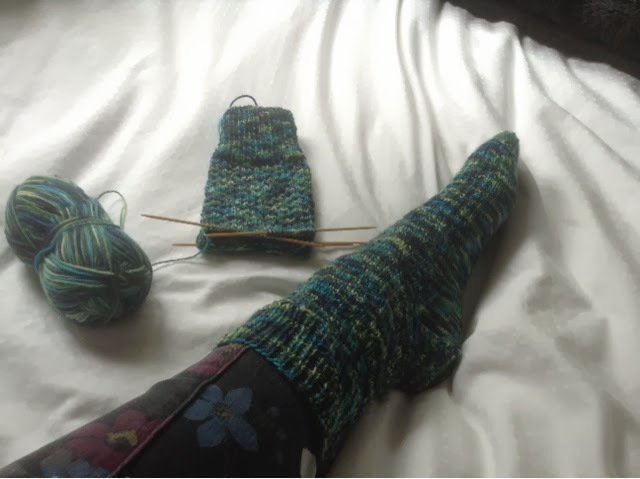 A heel turn creates the little cup which holds the heel of your foot in place, creating a 3D piece of knitting. It looks very clever. But the lovely ladies over at Very Pink soon had me turning that heel like a pro! Onto the gusset, which involved picking up stitches, something I mastered when I taught myself Entrelac. Then instep, and finally the toe. No major issues there (but did I mention how slow going 2.25 mm needles are?! ), but then the bind off. Kitchener stitch. I bloody hate kitchener stitch. Not because it's difficult, because it really sn't. And it's super cool, creating another row of knitting to join your work together, for use in socks, toys, cushions, all sorts. I hate it mainly because I can never remember it. I've used it so often but it will not stick in my head. The Purl Bee have a lovely clear photo tutorial, which I have to scroll through the whole time. But I did it! I had one whole sock. Unfortunately, my sister has two feet. Needing two socks. And I could not be bothered with the second one. But like I said, tell someone they're getting a knitted present, you have to deliver, no excuses (even suffering from Second Sock Syndrome). So I cast on the second one. I'm pretty sure it took just as long, if not longer, to knit up then the first one! 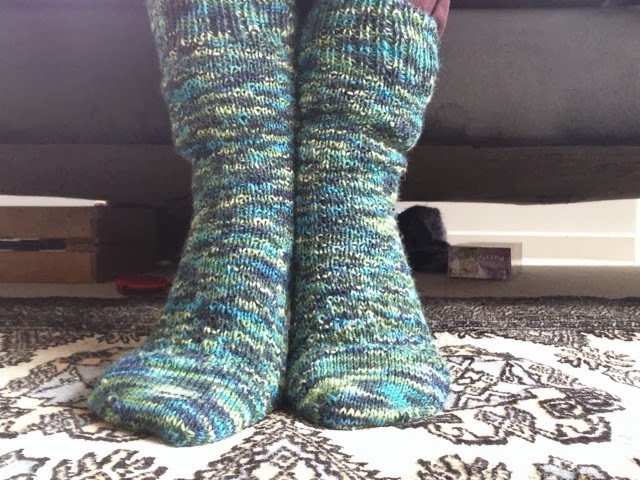 Finally, I had a beautiful pair of socks, ready in time to post for my sisters birthday. And the best thing? I never have to make another pair of socks again! 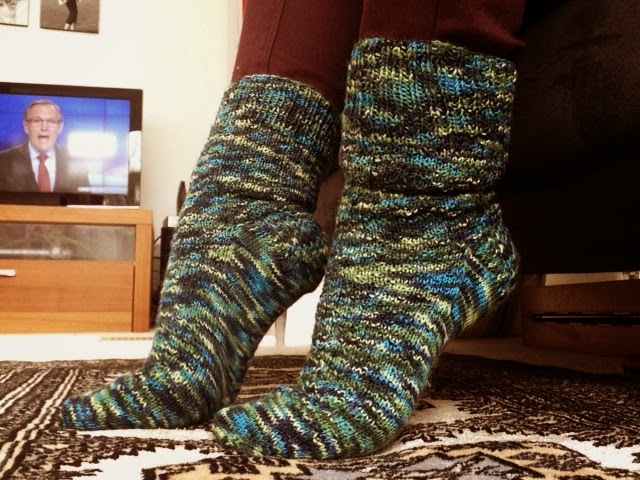 So lovely knitters, do you have any sock patterns that will inspire me to become a sock knitter? What was your first experience of sock knitting? Oh, and while you're here, check out YarNZ. It's a very lovely shop, I promise.